But the true secret of our success has always been our passsionate pursuit of the best possible solution for each individual customer application. And to ensure that we remain the first-choice partner for our customers, in future we will be staying focused on the strengths that made us the successful company that we are today. 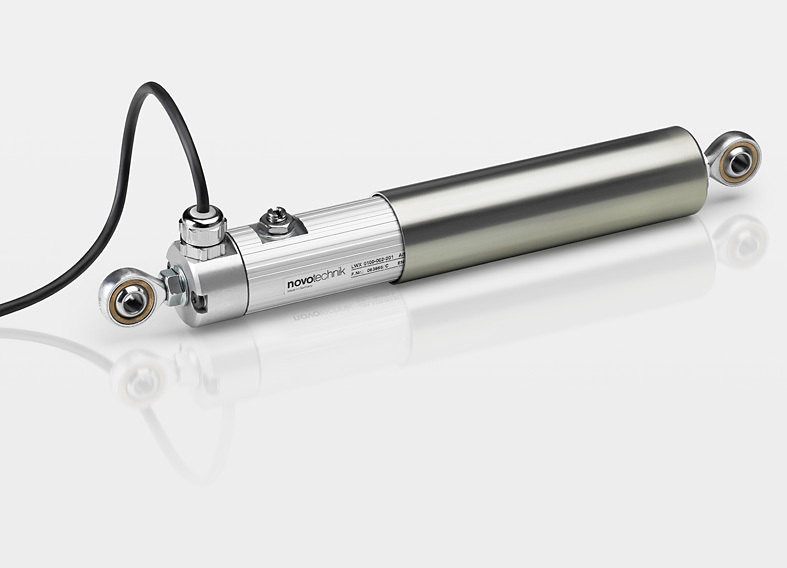 Whereever positions and angles need measuring with the utmost precision, sensors from Novotechnik are the first-choise solution. 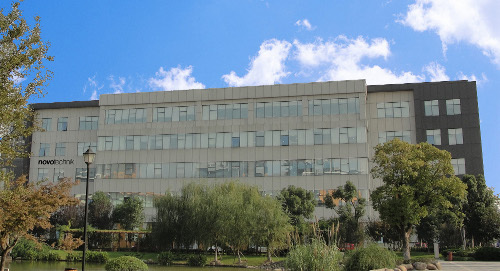 the expertise in measuring technology that we have amassed in the course of more than 65 years is just one of the secrets behind a success story that began back in 1947. The other cornerstones of our success inculde a passion for technology and a obsession with precision and reliability. Then there is our delight in devising solutions, coupled with a fascination with new materials and production methods. And of course there is our constant awareness of the importance of providing sound advice and top-class service, as we strive day-by-day to optimisie our measuring systems. Just how high our quality requirements are is documented by the fact that we were one of the first companies in the world to have its operations certified to ISO/TS 16949. At well-known automotive suppliers Novotechnik is A-supplier. 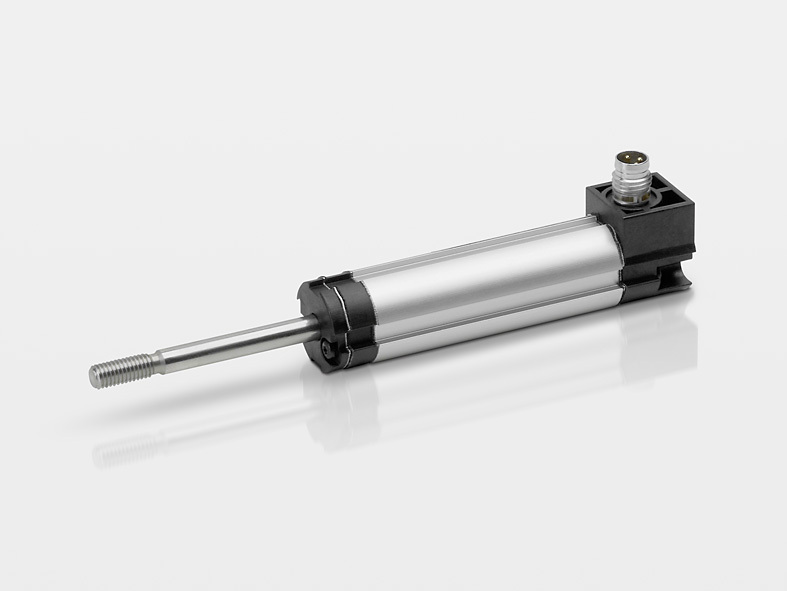 From our customer Bosch we have been repeatedly awarded the "SupplierAward." More than 50 million sensorswithout field claims indicate a highreliability. And at Novotechnik the process that begins with stringent and demanding specifications ends with a 100 % inspection of every single product. That way, we can be sure that every product we manufacture works perfectly. Today, Novotechnik is represented in all of the world's major markets - be it with our own offices or by approved dealers. Thanks to his tightly-knit network we can ensure that, wherever they happen to be, our customers can rely on first-class service and customer care. 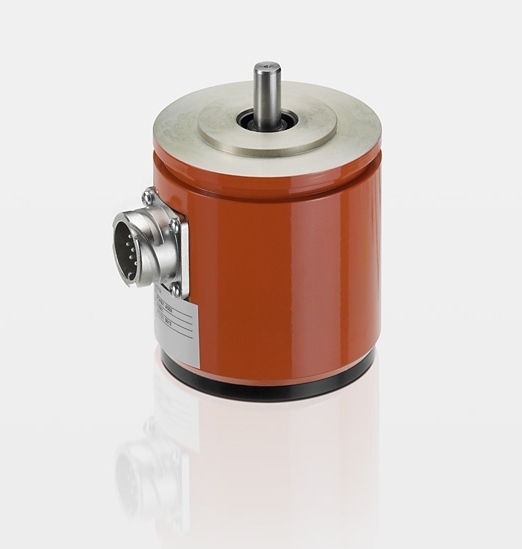 Non-contacting NOVOHALL Rotary Sensor for use in harsh environments. Large selection of analog and digital interfaces. Highly accurate and very attractively priced. 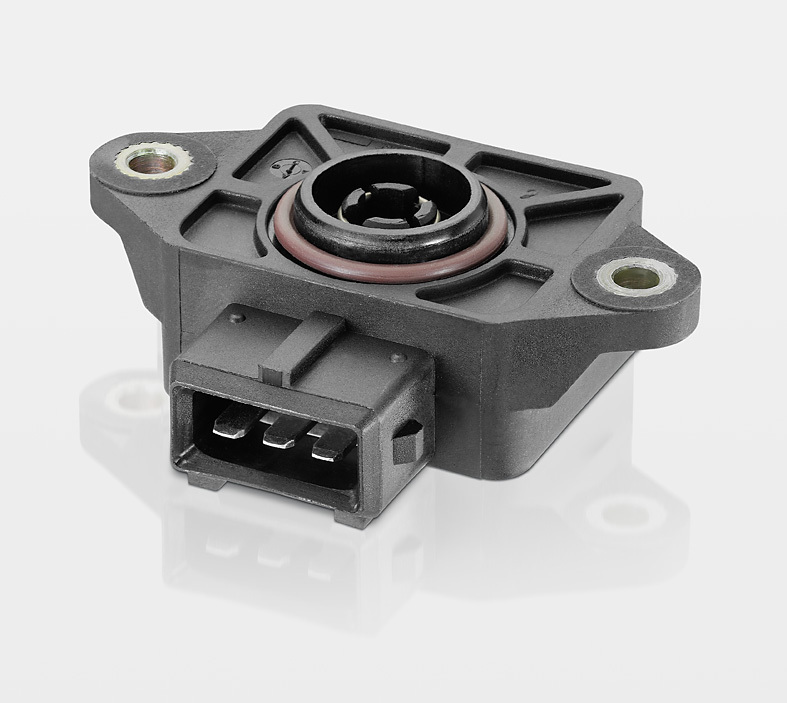 Compact, non-contacting NOVOHALL rotary sensor in redundant version for automotive applications. 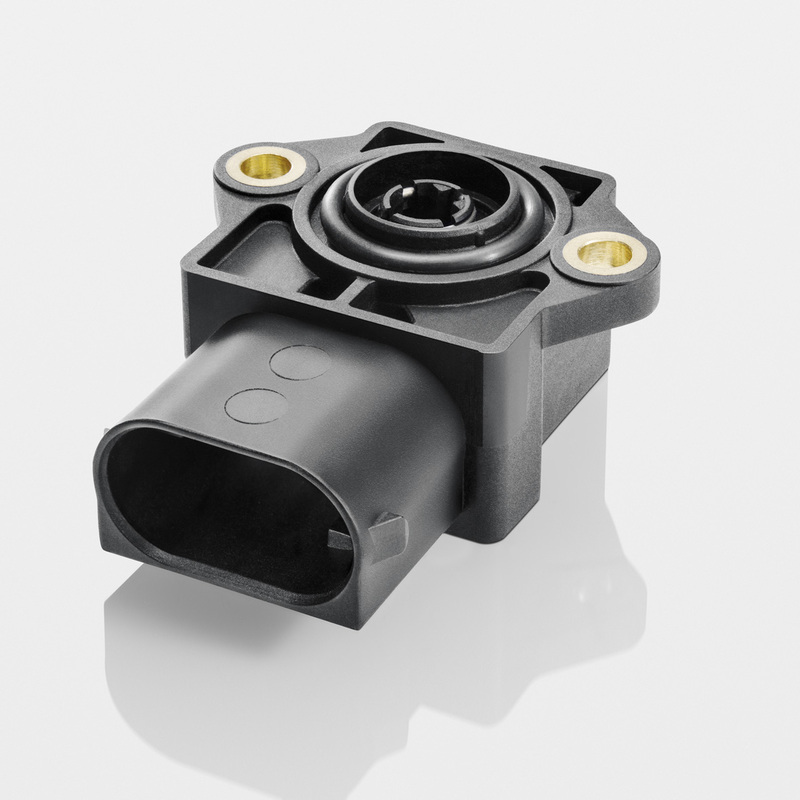 Non-contacting, cost-effective NOVOHALL rotary sensor with integrated connector for automotive applications. 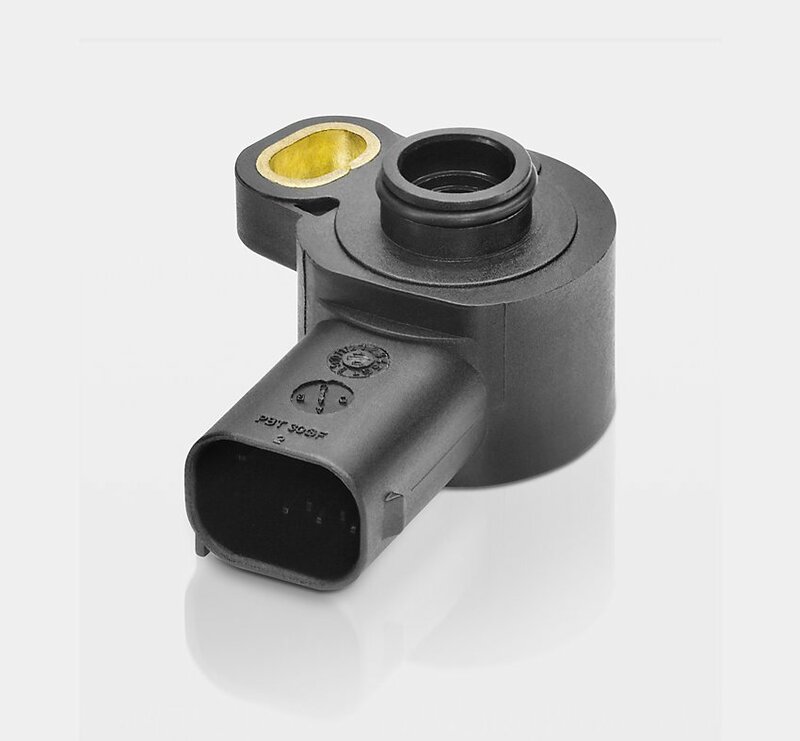 Non-contacting multi-turn rotary sensor with revolutionary NOVOTURN technology. Very compact, accurate and durable. 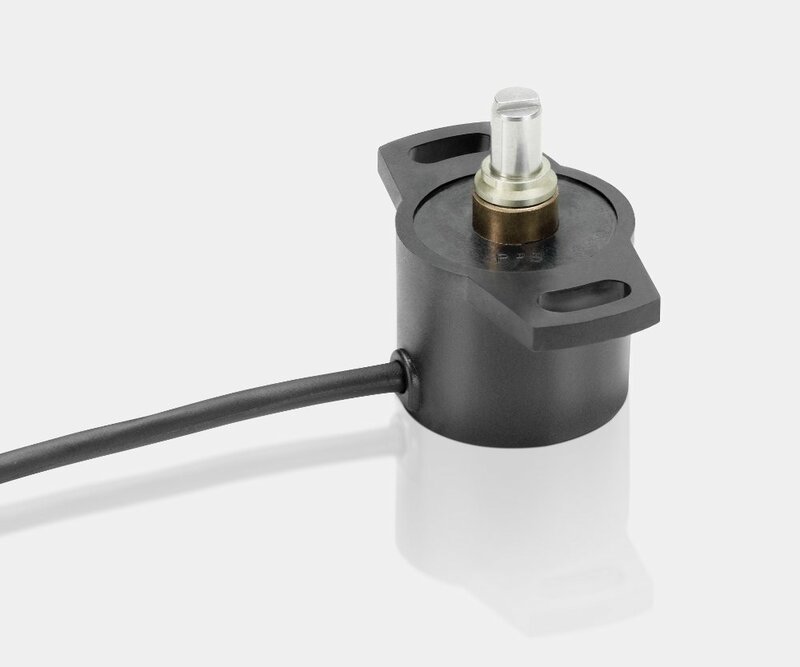 Touchless, compact and cost-effective NOVOHALL rotary sensor for small installation spaces. Selection of various analog and digital interfaces. 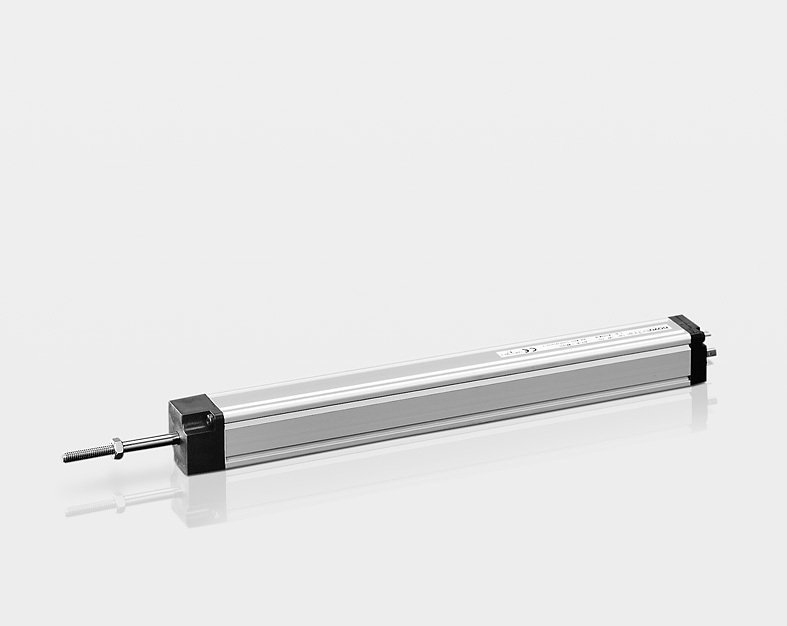 Robust NOVOHALL touchless rotary sensor. Large selection of analog and digital interfaces. Highly accurate and very attractively priced. 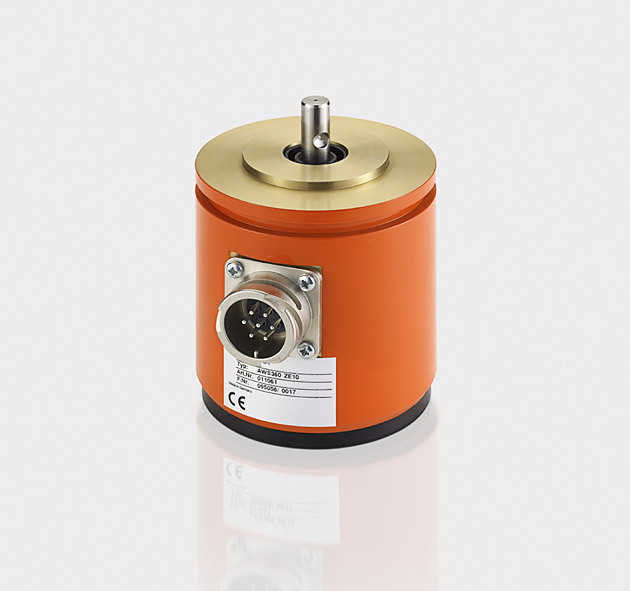 High-precision potentiometric rotary sensor for use in harsh operating conditions. Extremely robust, sealed and corrosion resistant. Resistance element / wiper combination with high accuracy. Suitable for flat installation spaces. Customized versions possible on request. 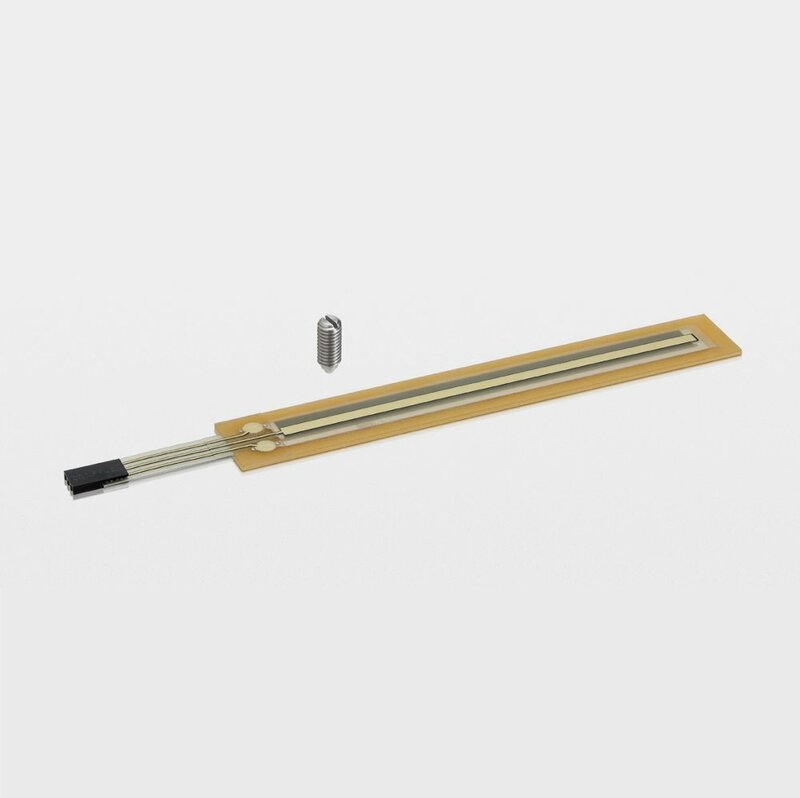 Potentiometric resistive elements with foil collector and mechanical pressure pin. Hermetically bonded structure. Handling is very simple since the sensitive potentiometer track is protected by the cover sheet. 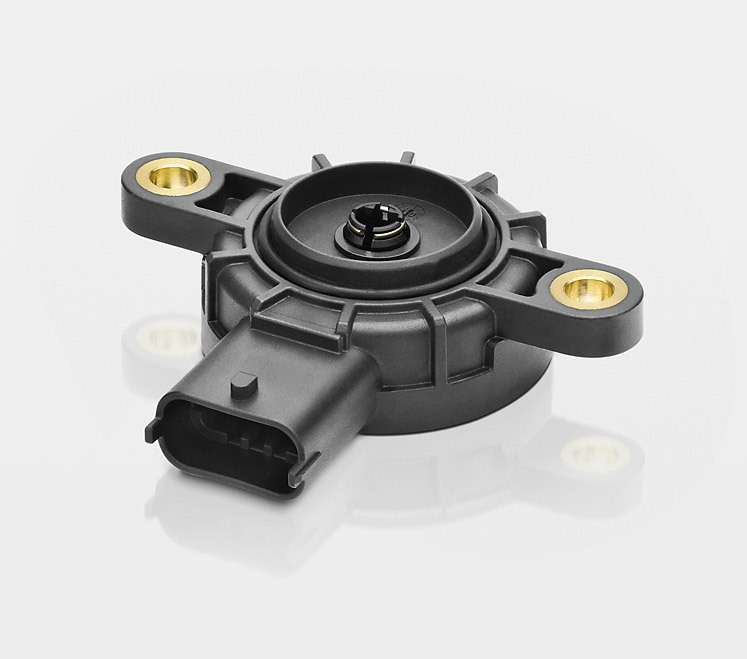 The steering-angle sensor basically consists of a non-contact angle-measuring device or resistive tracks and wipers. 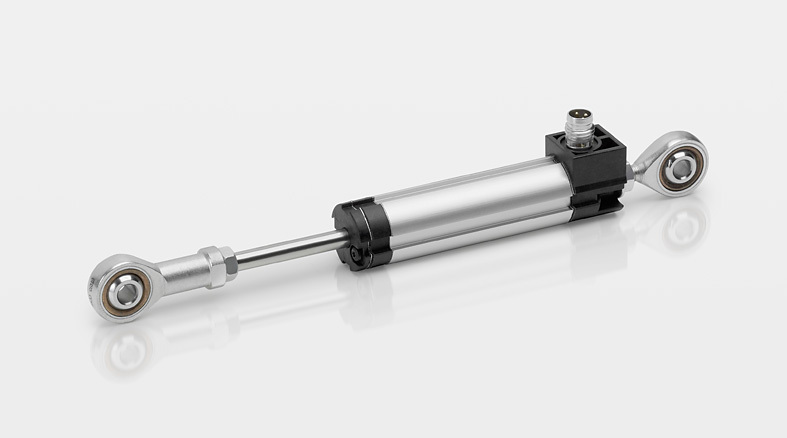 The sensor, which is designed a a hollow shaft, is normally mounted on the steering column or at the steering gear. contribute significantly to increasing driving safety in motor vehicles. These types of control systems improve the transversal dynamic behavior and assist the driver in critical steering maneuvers, e.g. when veering quickly or passing. 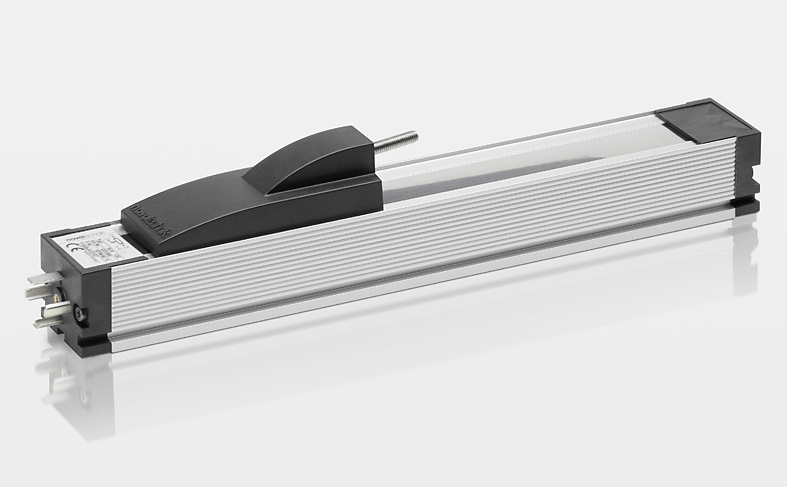 Electronic pedal sensor modules comprise an accelerator pedal, angle sensor and mechanics for simulating the traditional feeling of the accelerator pedal for the driver. down, the pedal sensor transmits the information to the control electronics. Based on this information, the position of the throttle valve is calculated. 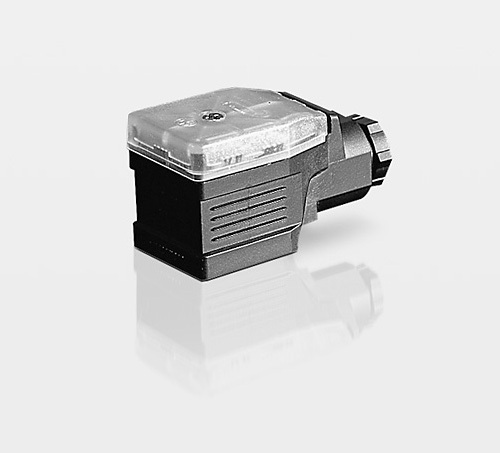 The information detected from the pedal sensor are transmitted to the electric motor-driven throttle valve positionier via control and correction electronics. 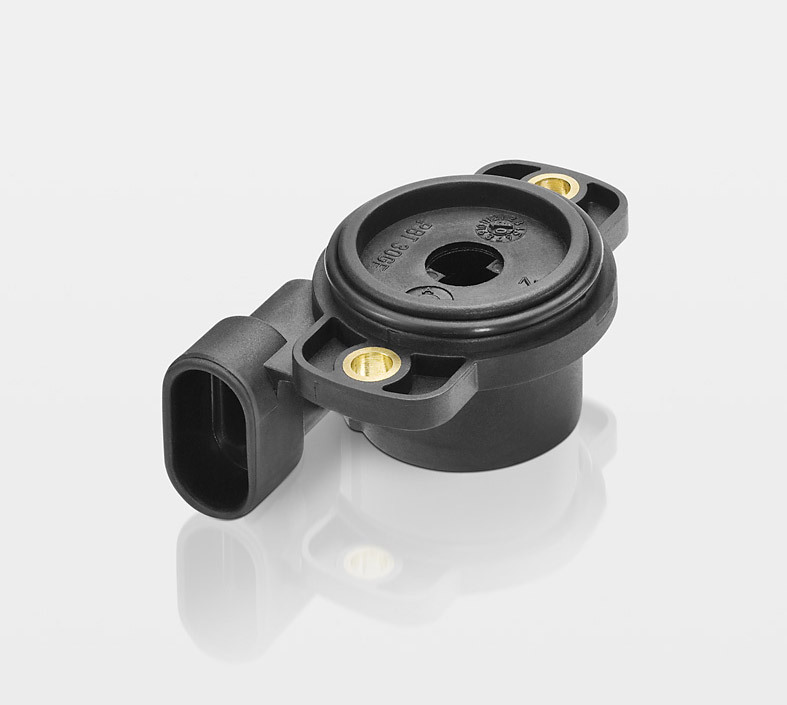 The current throttle valve position is measured by an integrated or adapted angle sensor. independent of the load the idling speed or the engine through the throttle position. This leads to an optimised fuel consumption. 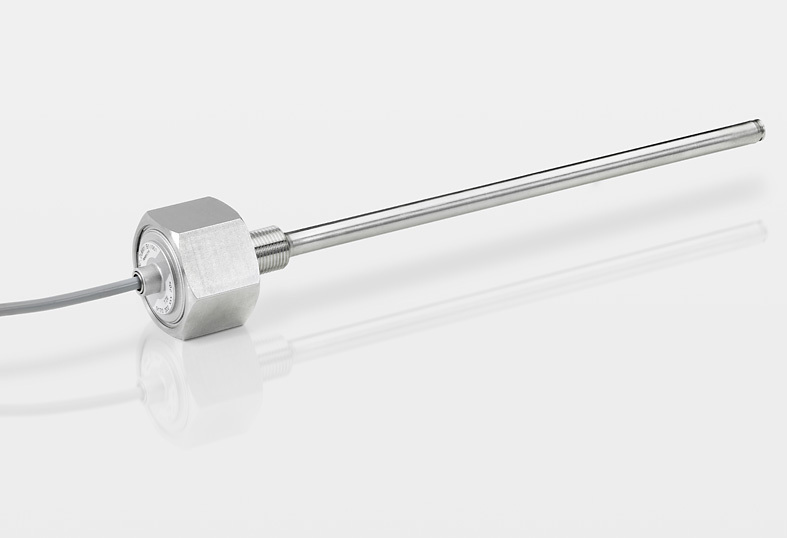 A very cost effective and compactpotentiometric angle sensor with integrated power and reset spring. 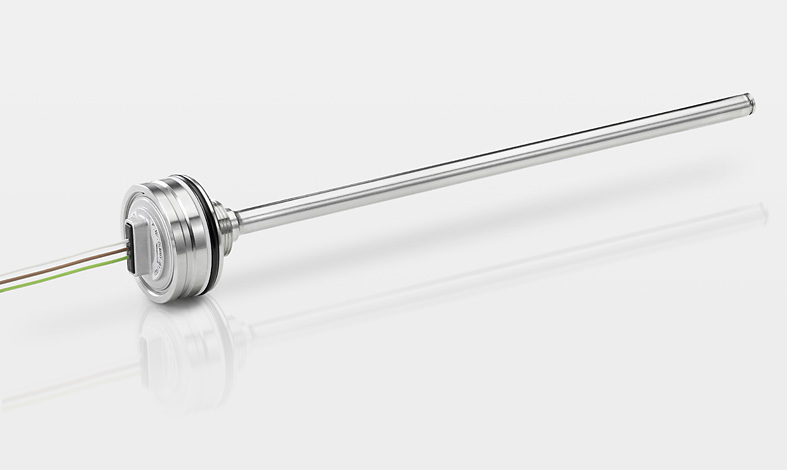 Robust customized sensor, NOVOPADnon-contacting inductive measuringprinciple. for potentiometric sensors. Adjustable zero and span. 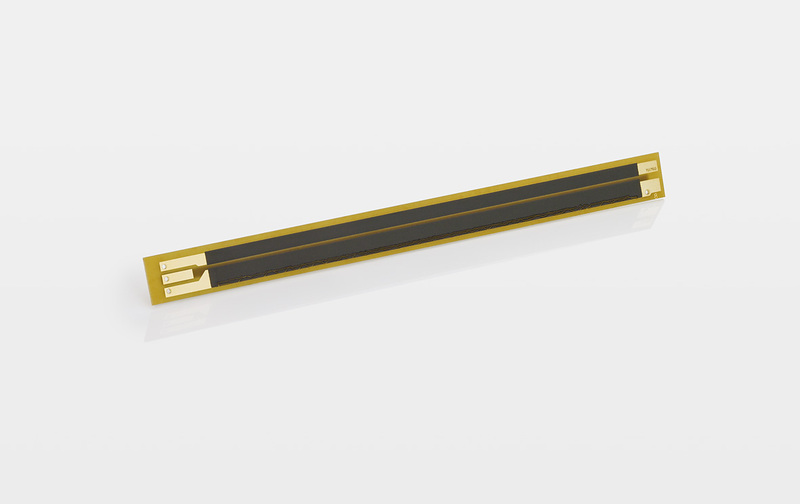 Available with or without electrical isolation. Compact size. for potentiometric sensors. Simple teach-in function to adapt start and end point.Switchable current or voltage output. for potentiometric sensors. 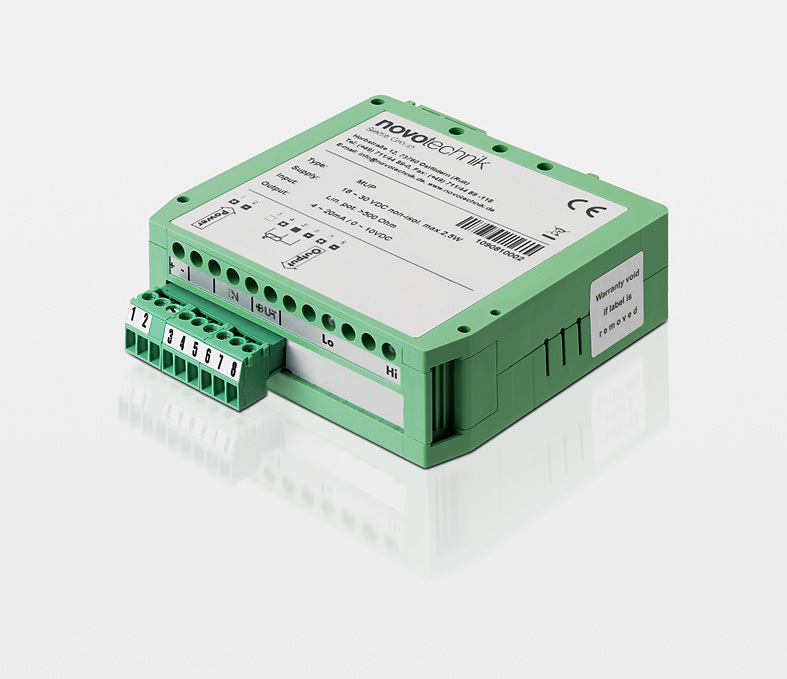 Basic version with fixed voltage or current output, output range. 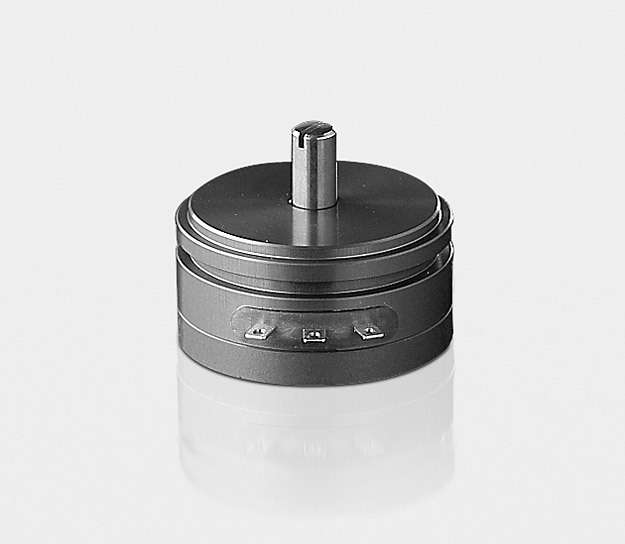 for position sensors series F200, AW360 and AWS360. Zero point and span adjustable, additional supply +/- 15 V for connected sensors. 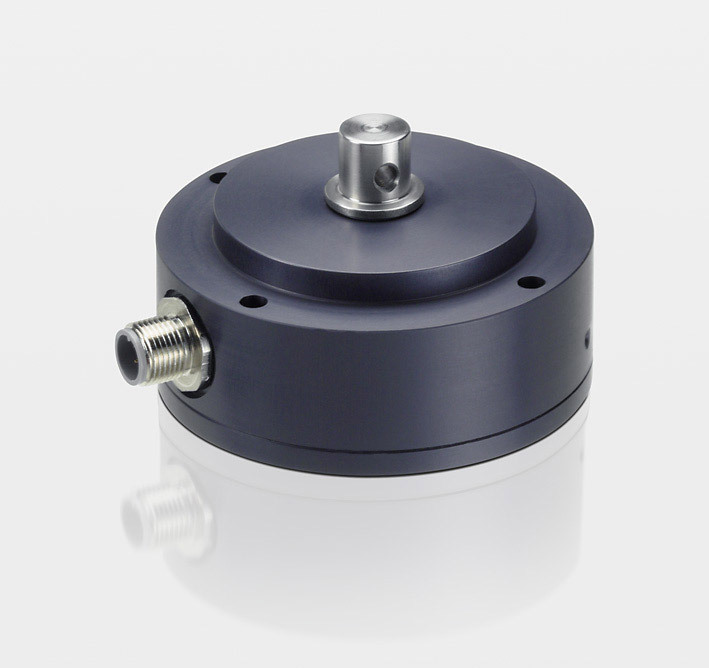 for position transducers series LWH und TLH. Electronics integrated inside the connector housing. Zero point and span optionally adjustable or fixed. for potentiometric sensors. Electronics inside robust housing even for outside use. Zero point and span adjustable. for potentiometric and other sensors with analog interface. Highly accurate, displayup to 4 1/2-digits. Programmable mode, scaling, limit value, zero point and tare.Selectable analog and digital interfaces. 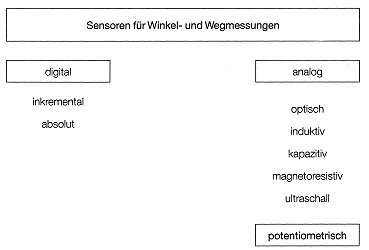 für potentiometrische Sensoren. Hochgenau, Anzeige bis 4 1/2-stellig. Programmierbare Betriebsart, Skalierung, Grenzwerte, Nullpunkt und Tarierwert. Wahlweise analoge und digitale Schnittstellen. 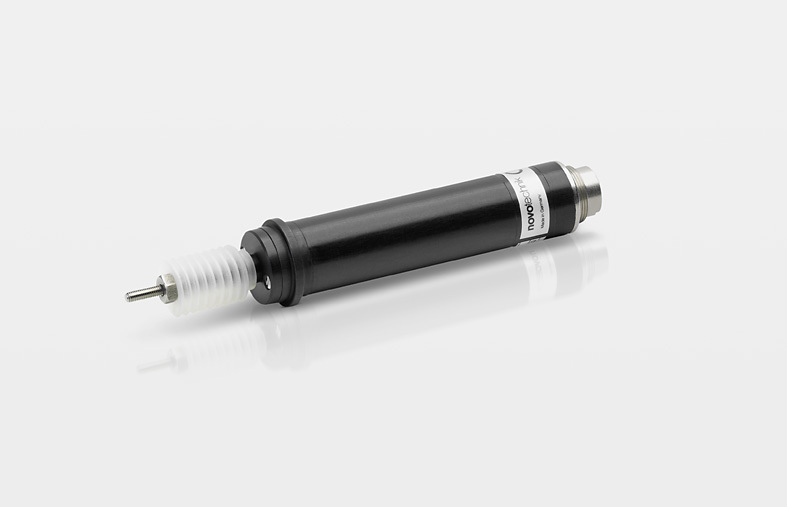 for potentiometric and other sensors with analog interface. Cost effective, various programming possibilities, (input dimension, scaling, limit values, zero point, tare etc.). Selectable analog and digital Interfaces. Useable also as data logger due to internal data recording ability. 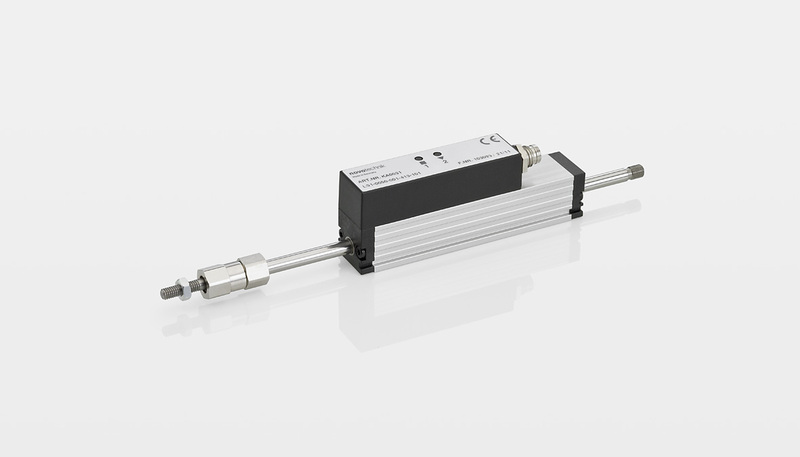 for contactless linear transducers. Supported interfaces: SSI 24, SSI 25, SSI 48 (DyMoS), Start/Stop. Binary and Gray Code, one button operation, RS232 interface, Display languages german and english. 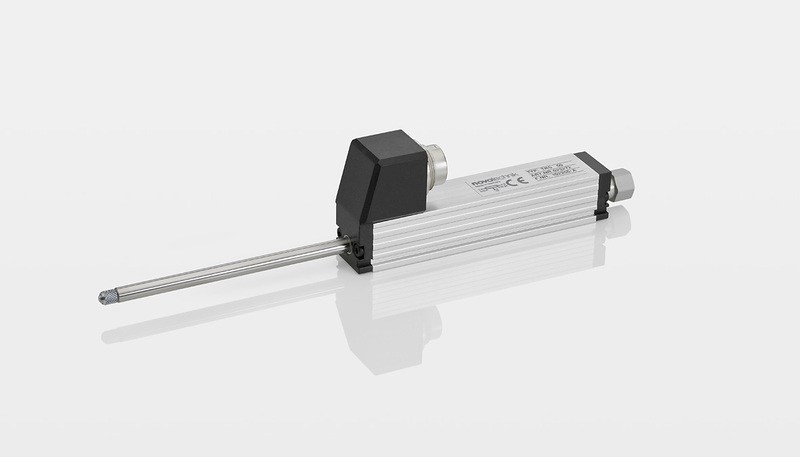 How To Substantially Reduce Encoder Cost While Gaining Functionality With Multi-Turn Rotary Position Sensors. technology/rotation counters are subject to significant wear. 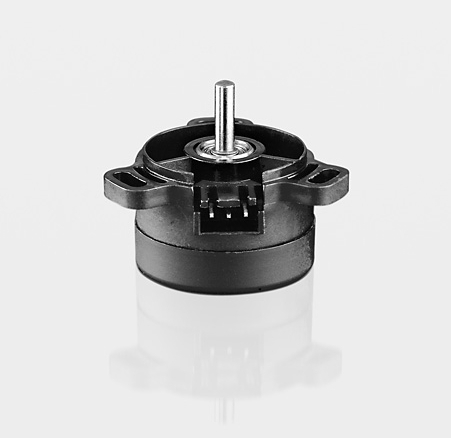 Novotechnik’s new 2800 Series multi-turn rotary sensors address this unfilled customer need. 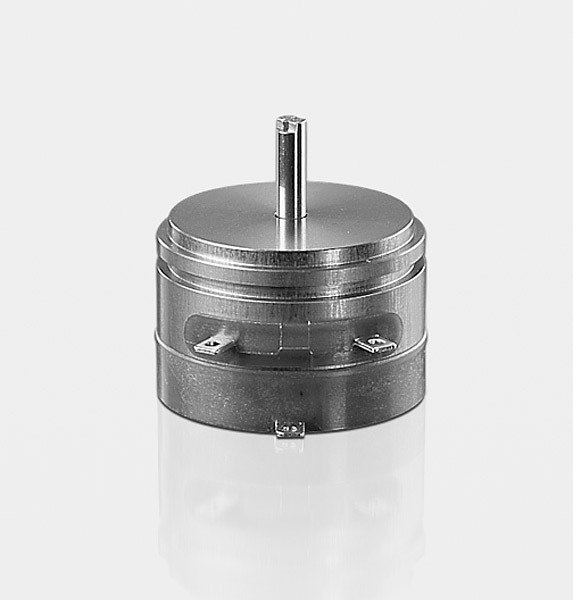 These are the the first rotation counters to be based on Novotechnik’s patented NOVOTURN™ technology – built on an enhanced giant magnetic resistance effect. 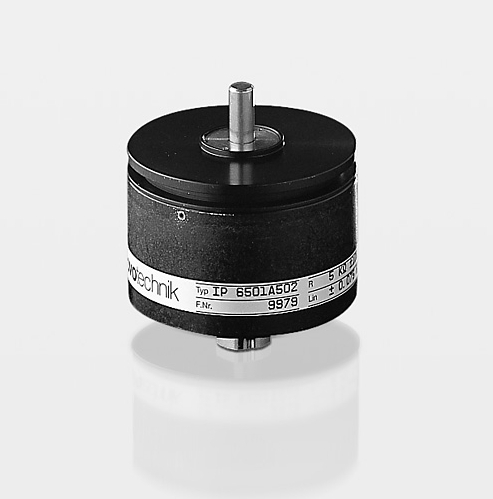 They provide substantial cost savings compared to optical encoders, maintain reliability and accuracy, plus they offer additional useful features. terms used, such as electrical and mechanical travel. L1 indicates the defined electrical travel. L2 indicates the continuity travel which also includes the non-linear connection fields Fig. 4. L3 indicates the total electrical contact travel of the potentiometer. 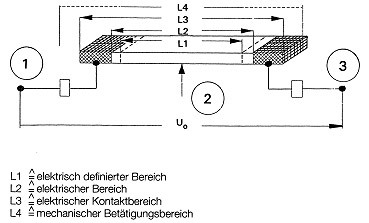 L4 indicates the mechanical travel. An electrical potential need not be defined for the whole of this travel. Of all the quality features mentioned, linearity and conformity are the values most often defined in the existing literature (2). These terms express the extent to which the voltage output from a potentionmeter, and also other types of angular of linear movement sensor, differs from a prescribed theoretical function. In by far the majority of cases, the desired output function is directly proportional to the angel or linear movement that is input. 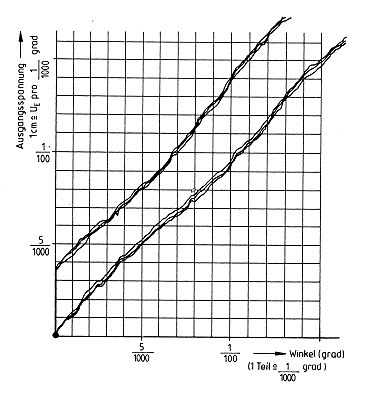 Whereby m characterizes the gradient, the offset voltage of the potentiometer and the linear or angular travel. Where there is a linear relationship, deviation is referred to as linearity. Where the relationship is nonlinear. the deviation is referred to as conformity. indicated as a deviation in percentage terms of the output voltage from the theoretical in relation to the input voltage. 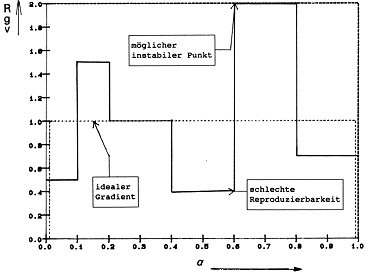 Since direct measurement of the potentiometer characteristic does not make it possible to assess the extent of such an error, only the difference between the potentiometer characteristic and that of an essentially perfect master potentiometer is plotted as in the practical example given in Fig. 7. Typical values for independent linearity nowadays lie between 0.2 % and 0.02 %. With the ever increasing automation of assembly lines, users are finding that values for absolute linearity are steadily gaining importance. 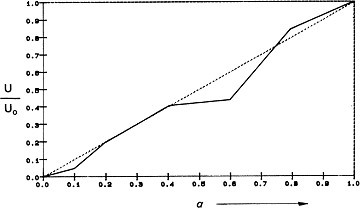 Unlike independent linearity, for absolute linearity the reference slope is fully defined (Fig. 8) so that there is no need for subsequent system trimming. The definition of an index point establishes a relationship between the mechanical input value (travel or angle) and the output voltage. 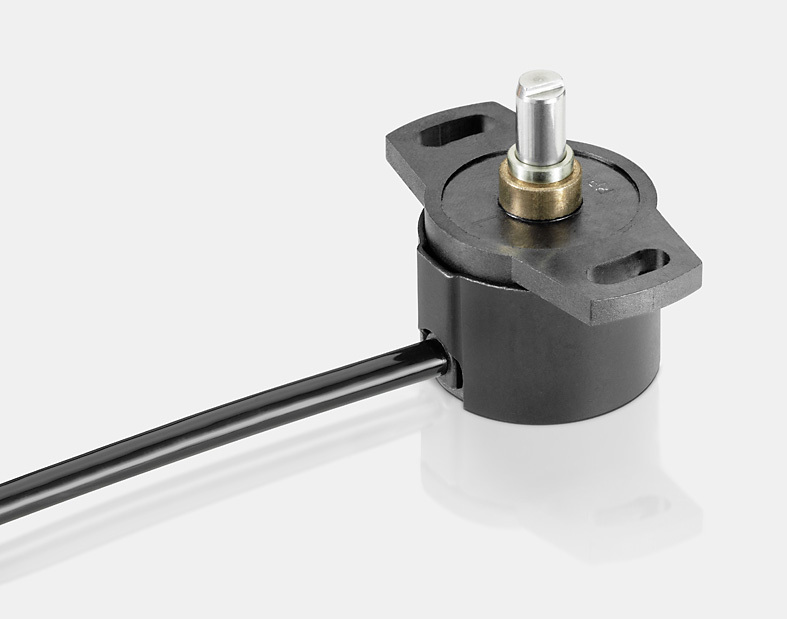 Potentiometers whose linearity is defined by these criteria can be installed without a need for subsequent adjustment. 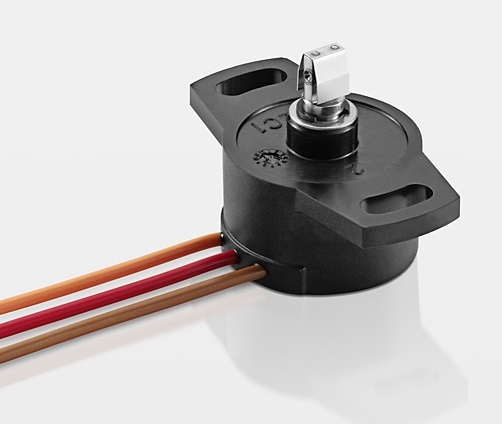 As with independent linearity, it is best to determine the absolute linearity of a potentiometer by comparing its output with that of a master potentiometer. 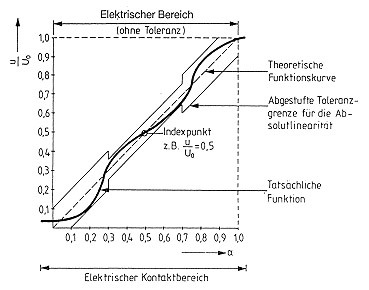 With absolute linearity, it is frequently necessary for the tolerance fields to be stepped. Fig. 9 shows a practical example. also possible with a potentiometer to achieve steadily increasing or steadily decreasing functions such as logarithmic, exponential, sinusoidal or cosinal functions. unfavourable conditions, lead to complete failure to keep within a tolerance range. 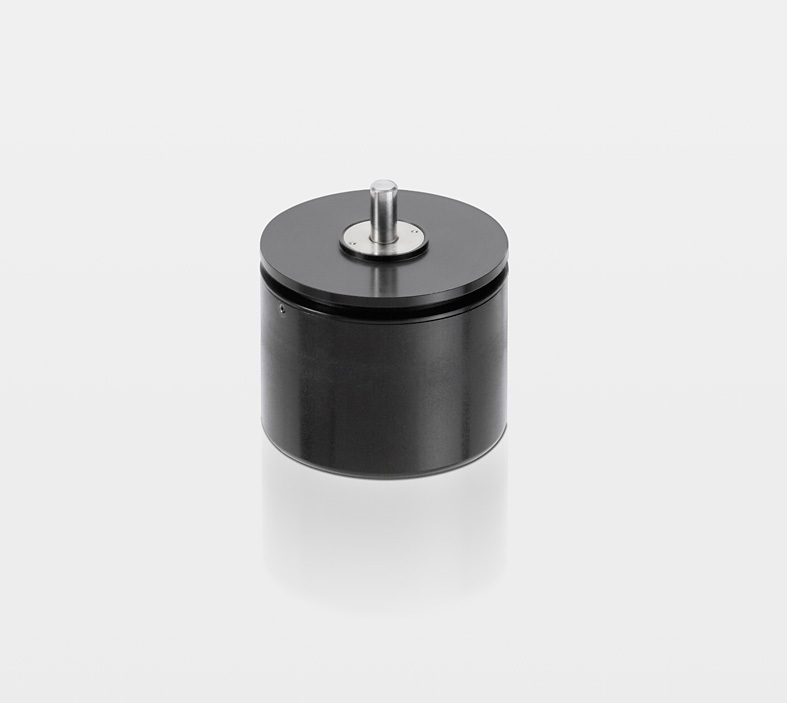 It is absolutely essential that the materials used in potentiometer manufacutre be subjected to stringent quality control and be matched one with another. 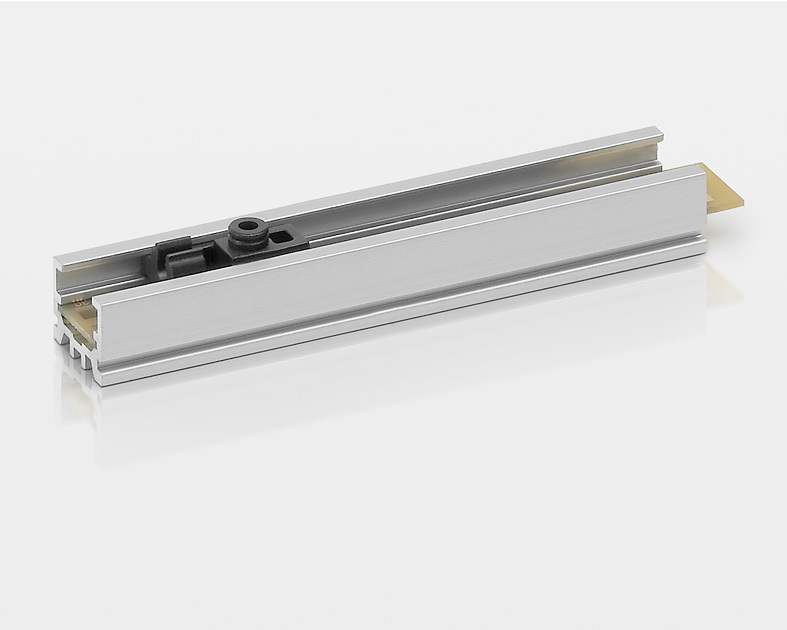 The third component, the dynamic component, is related to dynamic drive forces acting on the wiper at high speeds of actuation. 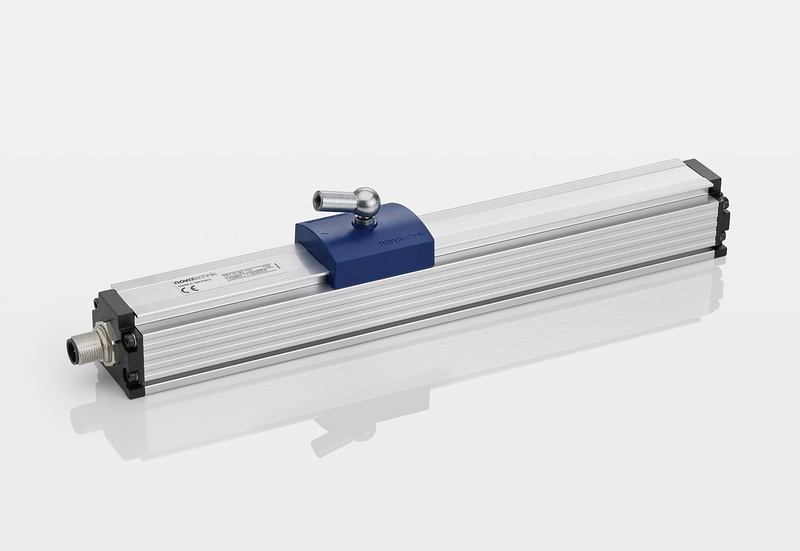 With the aid of damped wipers, actuation speeds of up to 10 m/sec can be achieved without any appreciable increase in the dynamic component of contact resistance. 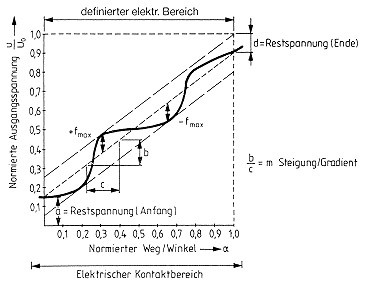 relationship between wiper current, contact resistance and linearity error. 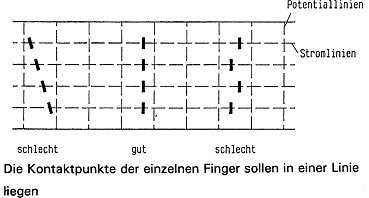 As is shown by the example in Fig. 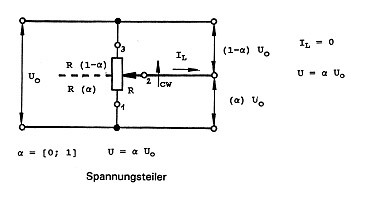 10b (Characteristic 4), with a wiper current of 10 µA and a contact resistance of 10 kOhm, a potentiometer which has a resistance of 2 kOhm already has linearity error of 1.1 %. A similar situation arises with an ohmic load. This clearly shows how important are the roles played by both wiper current and contact resistance. und rk = the coupling radius. coupling alignment errors (offset and angular misalignment) are avoided or at least reduced to a mimimum. This means that with highly accurate measurement systems, due allowance must be made for any coupling misalingment in accordance with the above equation. 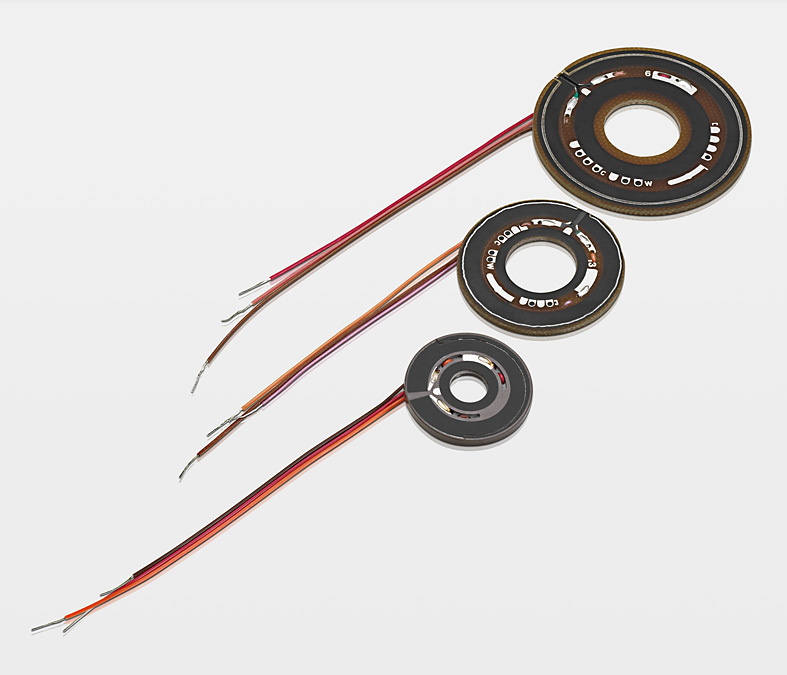 When, some 30 years ago conductive plastic potentiometers were first introduced onto the market, it was apparent that although the winding jumps which were a feature of wire-wound potentiometers had been overcome, absolute smoothness of the output voltage could not be achieved. Following some basic reserach by. h.
appreciably better smoothness and linearity values. For this reason, Novotechnik has sought over the past 15 years to develop definitions better suited to the current state fo the art. The various methods used are discussed and evalutated below. a) The use of a filter causes both the absolute wiper velocity and any changes in such velocity to affect the smoothness values. Since the filter partly integrates and partly differntiates, the chart-recorded smoothness curve does not accurately indicate the variations in the output signal. 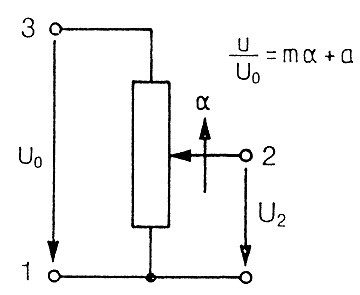 variation in the contact resistance which is greatest with the wiper at the voltage application end and lowest at the grounded end of the potentiometer track. c) The use of a 1 % evaluation window is not accurate enough for many of today's applications. d) The sometimes arbitrary selection of a filter type, load resistance and travel increment results in-smoothness values not being directly comparable. are super-imposed on the linearity curve and have an overlap of at least 50 %. Contrary to a smoothness measurement, the error here is pureley a linearity error that describes the maximum error within a defined increment. 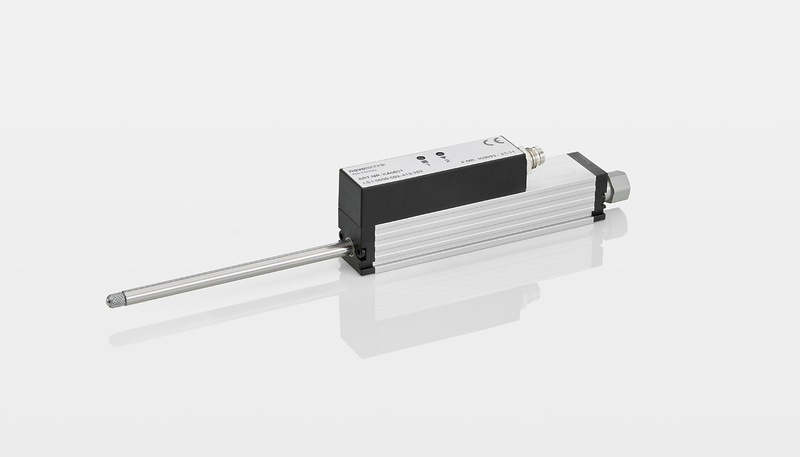 Microlinearity does not, however, make it possible to determine whether a potentiometer will be suitable for a particular applications because any variations in gradient (sensitivity) can only be determined with considerable difficult. variation gl to the mean gradient go of the potentiometer, then this criterion is independent of the potentiometer length and can be used for the direct comparision of various potentiometers. 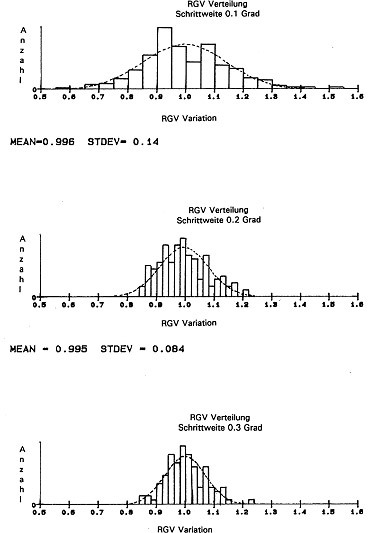 The RGV is indicated as a ± deviation in percentage terms from L (standardized mean gradient). 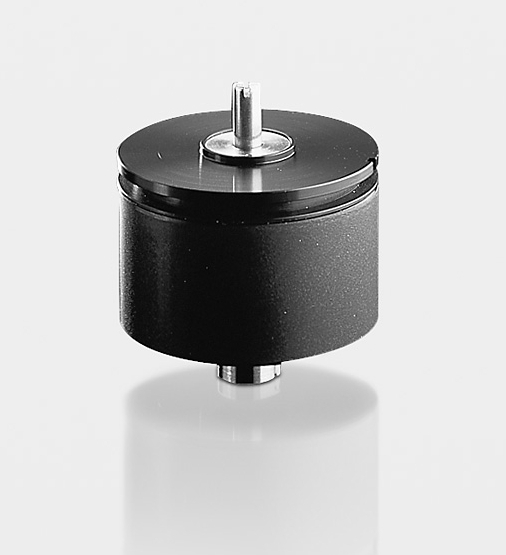 Measurements have shown that with conductive-plastic potentiometers, gradient fluctuations are statistically ditributed to travel increments of less than 1 µm, i.e. there is no periodicity or regularity. Fig. 14a shows the RGV curve and Fig. 14b the RGV values with step widths of 0.1, 0.2 and 0.3°. 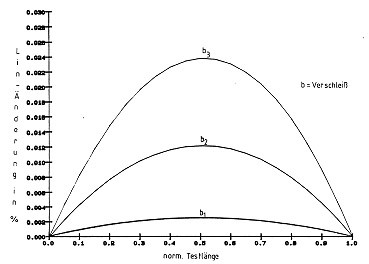 The form of these distributions more or less in conformity with the normal distribution to be expected in view of the central limit value principle. The mean distribution value is around 1 (mean gradient), the variance (STDEV) decreases as the step width increases. Since each individual RGV value represents a mean value, it is to be expected that the variance of such mean values will decrease with a root function in proportion to the increase in step size, since each such increase amounts to an increase in the size of the random sample. In Fig. 15 this variance has been plotted as a function of the step width. 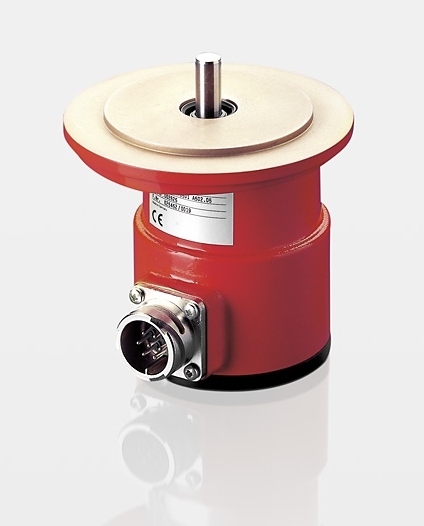 RGV variance can thus be considered as a characteristic quality feature of a potentiometer. The functional relationsship also serves to indicate the maximum resolution of a potentiometer which is not infinite, as many potentiometer manufacturers would imply. Maximum RGV values have also been plotted in Fig. 15. 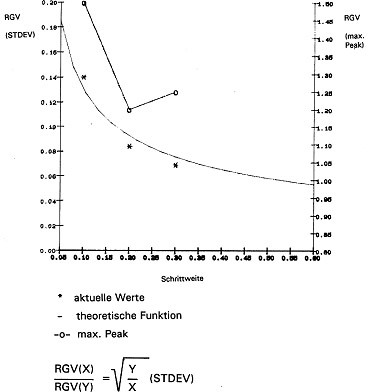 This curve, like the mimimum value curve, does not of course, obey statistical laws but arises from the inclusion of defective positions and faults in the system "potentiometer" as a whole. These values are vital criteria for assessing the stability and repeatability to be expected of a control system. resolution of 1/1000°. 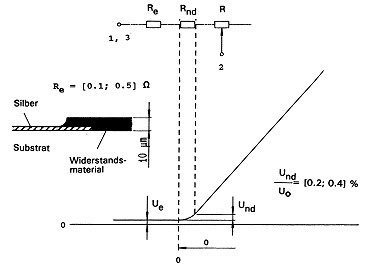 The degree of resolution is primarily determined by the homogeneity and grain-size distribution in the conductive plastic layer, by the wiper contact surface running parallel to the equipotential lines (Fig. 16a, 16b) and by the wiper current. 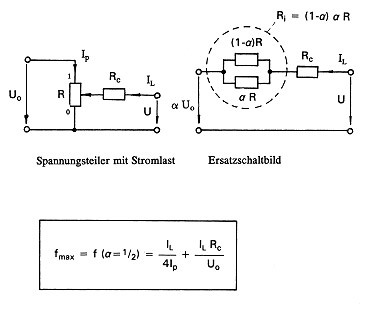 Novotechnik standard potentiometer. The measuements were taken with clockwise and counterclockwise rotation being repeated three times. While the curves recorded in one direction almost coincide (indicating goog resolution), in the opposite direction they indicate an hysteresis of around four thousands of a degree. 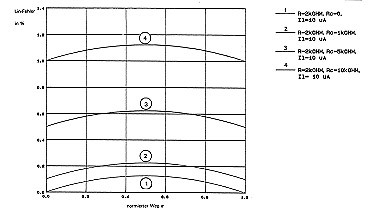 The fact that the curves in one direction almost coincide and that there is an constant hystersis in the opposite direction indicates a stable displacement of the wiper contact line which means there is no stick-slip effect. This term is generally replaced by reproducibility. By repeatability we mean any optional approach movement towards a prescribed position from the same direction. This term is taken to mean any optional approach movement towards a prescribed position from various directions. It represents the sum of 2 x resolution + hyteresis. voltage-dividing behaviour are some two orders of magnitdue lower which means that here changes within a range of less than 5 ppm/°C and 5 ppm/% RH can be expected, ensuring constancy over a wide temperature and humidity range. However, this advantage can only be utilized given a suitably designed housing and if, for example, no trimming resistances are used in the potentiometer circuit. The magnitude of the contact resistance and the wear to which the resistance track is subjected and the resulting change in electrical characteristics dertermine the number of operations to which a potentiometer can be subjected and thus also its service life. Although of considerable importance for industrial applications, no standard has so far been issued that specifies a service-life definition or a particular method of testing. 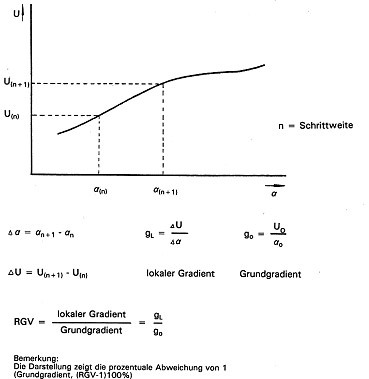 It is, of course, most difficult to specify a value for wear or for an increase in contact resistance for a given number of actuation cycles since such values are markedly influenced by such external factors as temperature and humidity, and by mechanical and chemical influences. 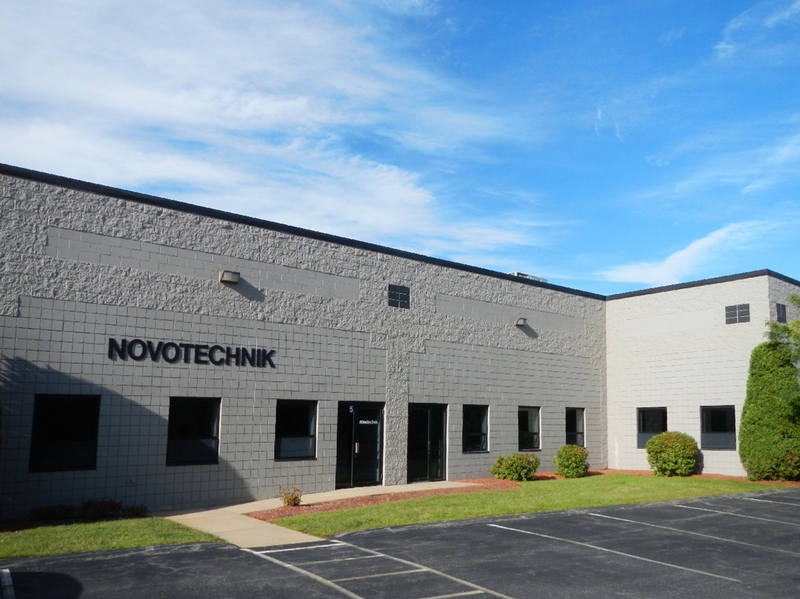 specifies some different procedure, Novotechnik now uses two methods of testing. 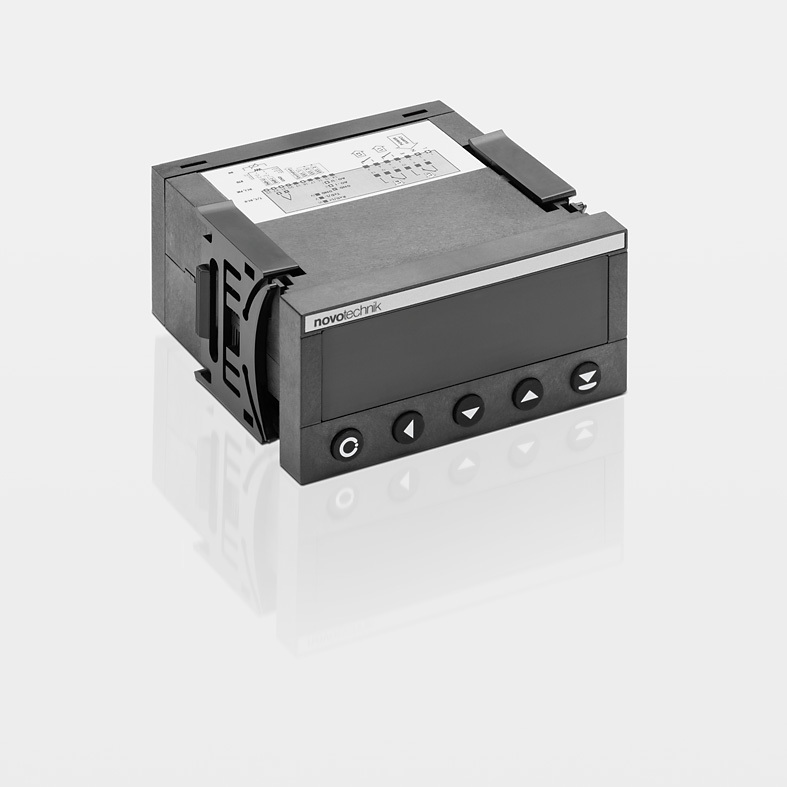 The first is a practical test in which extremely small wiper movements are simulated such as frequently occur in feedback control systems. 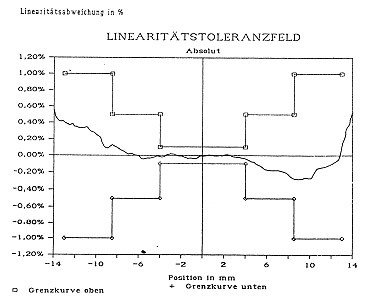 Typical values are: Wiper travel 2° Test frequency 100 Hz. 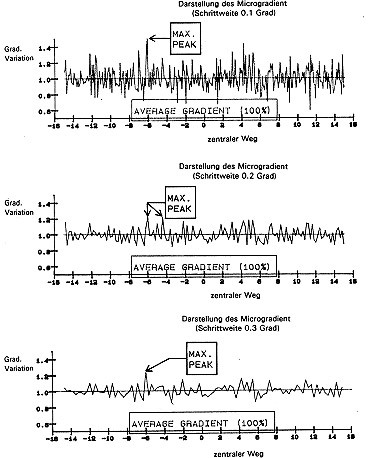 This dither test permits a relatively rapid result to be obtained concerning contact reliability and any change in gradient within a micro range since, at such a high frequency, some 8.6 milion cycles can be effected daily. 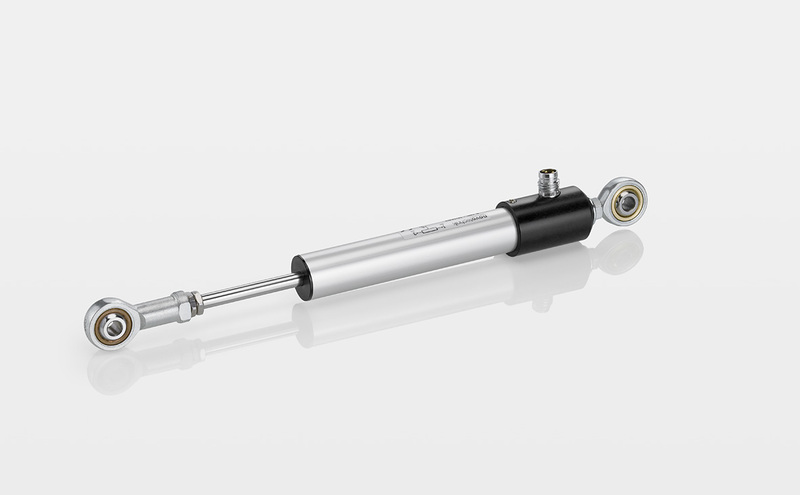 The second test, the half-stroke test, gives information concerning linearity changes, zero-point shift and wiper wear. This test is performed at a frequency of 10 Hz (0.86 million cycles per day) over 50 % of the track length. As is shown in Fig. 19, this results in a maximum linearity change. A criterion for rejection here might be a doubling of linearity in relation to the state when new and a maximum contact resistance value. When current flows through a Hall element, it supplies a voltage perpendicular to the current flow if a magnetic field acts vertically on both. 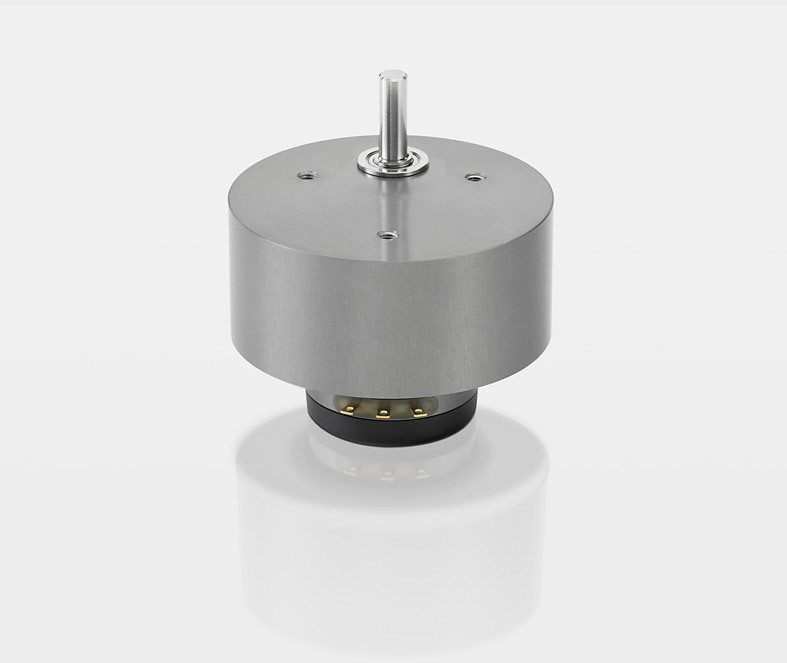 As this voltage runs proportionally to the magnetic field strength, it is extremely simple to conduct a contact-free angular measurement by attaching a position magnet on a rotating shaft. ideal for exact angular measurement. By combining several sensor elements and integrating the entire signal processing system in a few components, complex systems are possible in an extremely small space. The systems operate virtually insensitive to ageing and independently of field strength fluctuations of the sensor magnets. contact-free systems without a mechanical shaft connection enable measurement over up to a full 360° or even over several rotations. 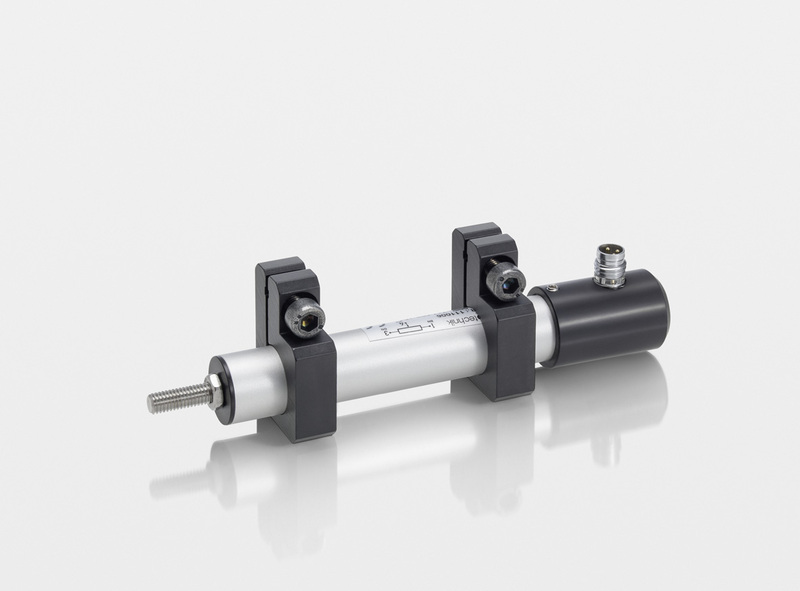 High resolutions with excellent dynamics, broad mechanical tolerances and fast feasibility of special customer-specific solutions are additional convincing properties of this technology. orient themselves in the direction of the magnetism. The number of domains that orient themselves in the direction of magnetisation is dependent both on the magnetic field strength of the external field and on the mechanical properties of the ferromagnetic material. 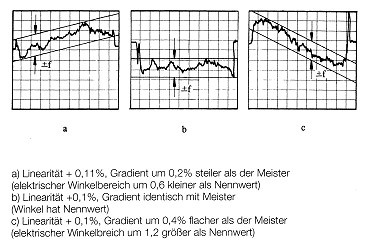 The change in magnetisation of the domains produces a spontaneous change in the mechanical form, whereby a mechanical wave results. The mechanical wave is a torsion wave which results at the location of the excitation by the external magnetic field. The torsion wave is propagated in the ferromagnetic material at a speed of 2,800 m/s. This physical property is the basis for magnetostrictive position transducers. A ferromagnetic material with a marked magnetostrictive property (waveguide) is positioned along the measuring path in a rugged housing. 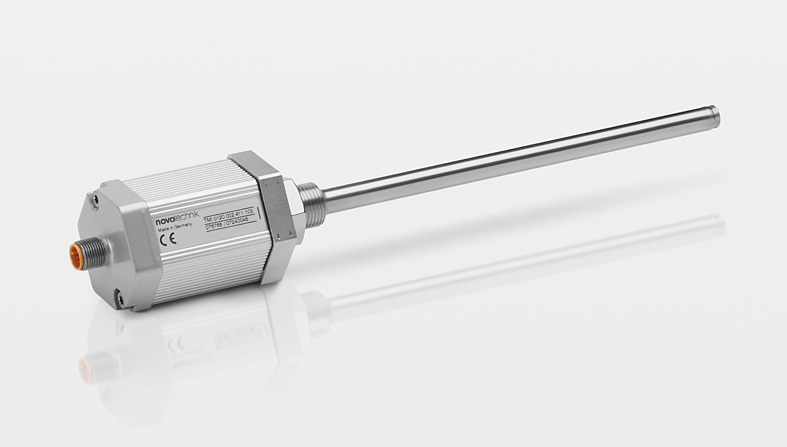 An external magnetic field (position transducer) marks the measuring position. 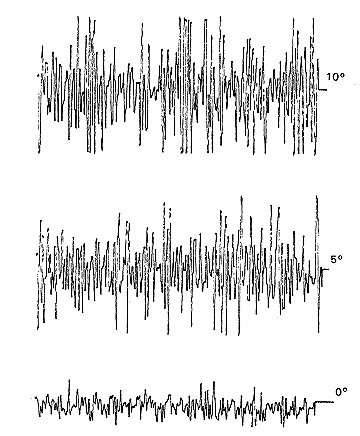 The spontaneous change in magnetisation is triggered by the interaction of the external magnetic field and a very short current pulse, which flows through the waveguide. The torsion wave is propagated in the waveguide. The time between excitation and the reception of the torsion wave in a wave converter is converted to the corresponding position value in the electronics. 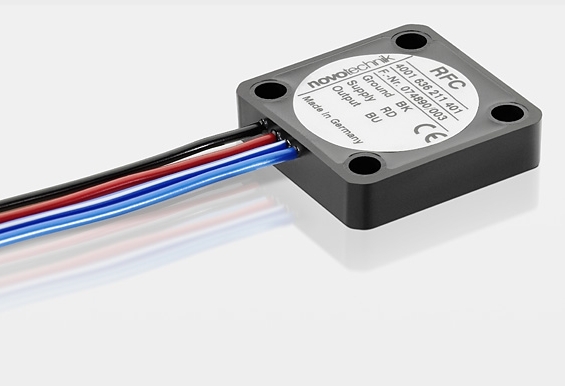 The Novotechnik DyMoS interface for magnetostrictive transducers is a uni-directional interface combining the data integrity of bus communication with the high transmission rate of the SSD interface. 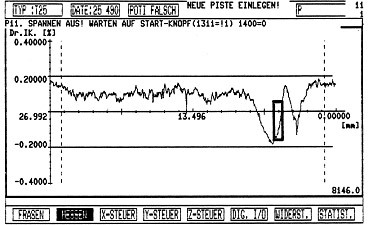 The speed at which the position values from the magnetostrictive transducer system are provided is adjusted to the transmission rate of the interface, thus achieving an overall update rate of output values to 16 kHz. sequence of the measurement and the data preparation, with a continuous cycle of data querying. This ensures error-free calculation of the velocity and acceleration. The drivers are RS422/485 conformal. 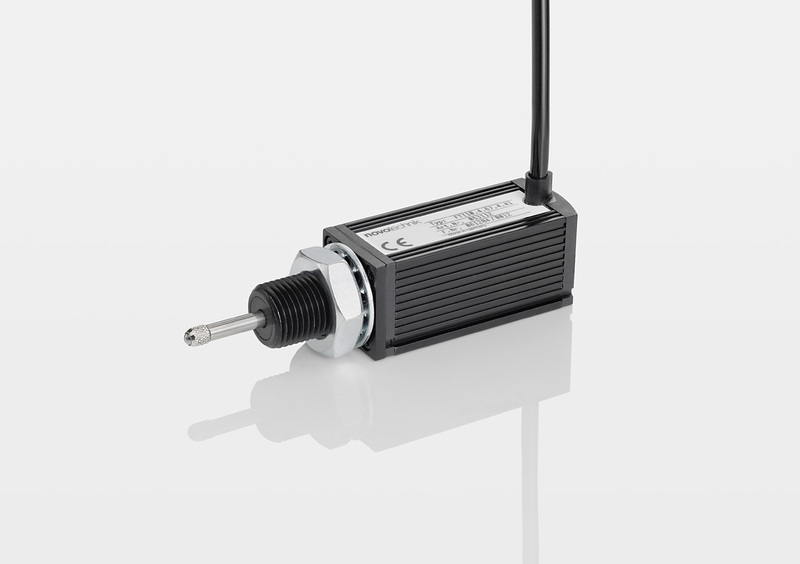 The transmission speed is from 25 Kbps to 1 (2) Mbps.The traceability and documentation of the transducers used in the application represents an additional advantage of the interface. This is accomplished using a system identification which the transducer sends at each power-up. 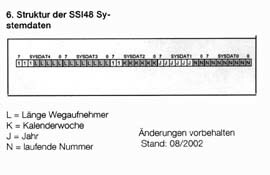 The system identification consists of the part number (model and stroke length) and a unique number. 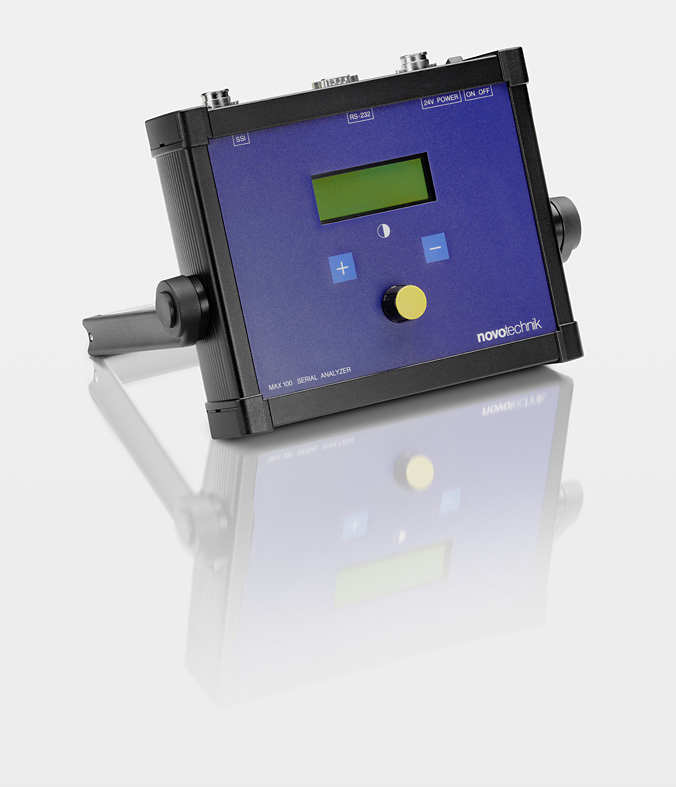 The system information can also be used for unique assignment of the transducer within the application to prevent faults and damage caused by connecting the wrong transducer to the machine. The communication frame consists of the 3-bit system frame, the 2 x 20-bit data frame, and the 5-bit CRC. The system frame consists of the funktion bit, the error bit and the system bit. 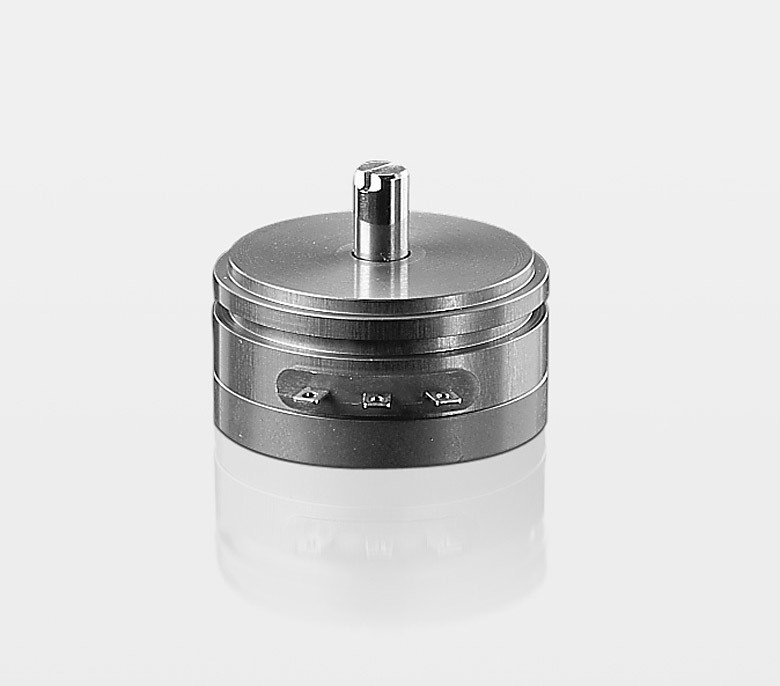 - Function Bit – is always High and indicates the start of transmission. High. On the receiving side the decision can be made at the start of transmission whether the received data are valid or not. - System Bit – The system bit is used for defined recognition of the sent data. The system bit is Low when data (position value) are being sent and High when the transducer system identification is being sent. The data frame consists of 2 independent 20-bit frames. The data are formatted from LSB to MSB within the frames. - Position value: 20 bits. 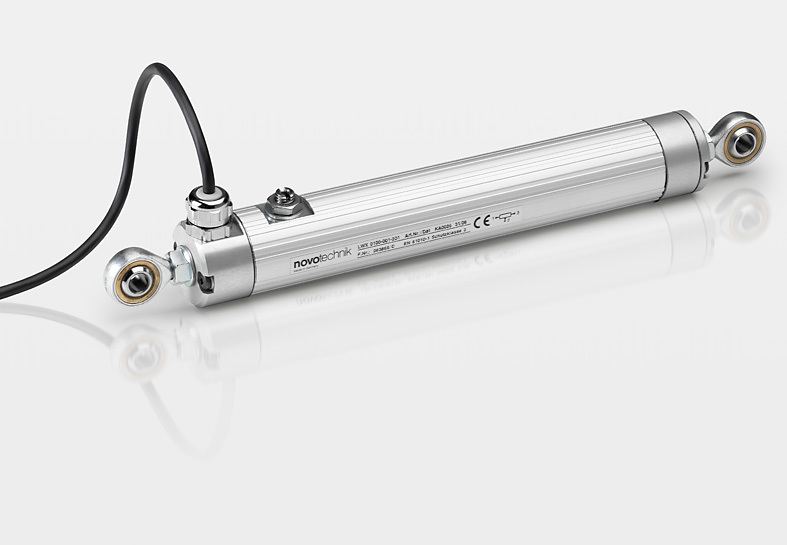 The bit format is intended for a transducer having 5 m of stroke and a resolution of 5 µm. - Velocity: 20 bits. The velocity resolution is 2.5 mm/s. Standard = The data frame consists of 2 independent 20-bit frames. The data within the frames are formatted from LSB to MSB. Interface 2: Position 2 and Velocity 2. (Fig. 1). the current data, corresponding to the last update, are sent at 16 kHz. The sequence of the internal data update and data transmission is shown in Fig. 2. 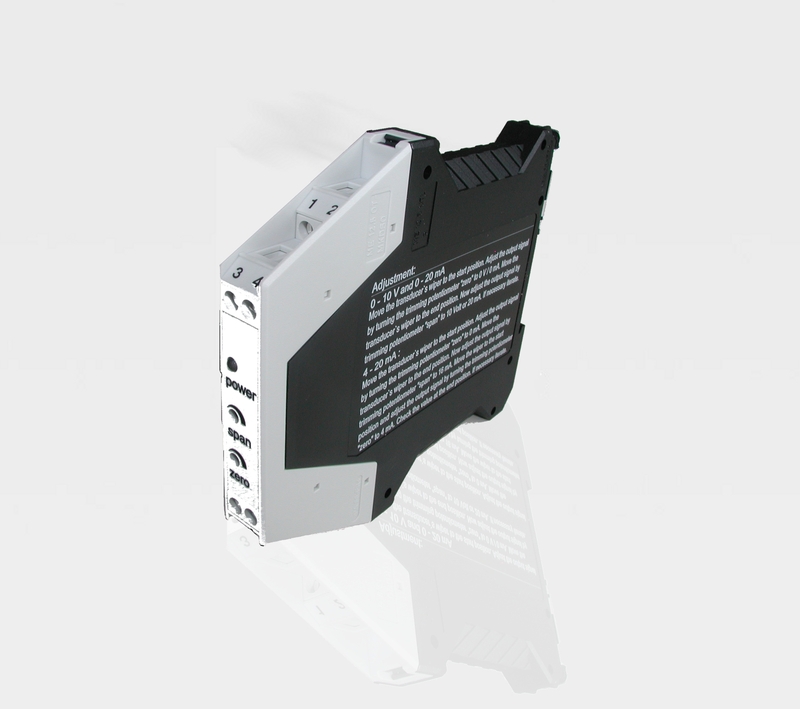 - The controller has optimum access to the data. access to the most current data. Even if the CPU does not access with absolutely precise time accuracy, it will still be ensured that the data can be allocated to a very accurate time sequence. This also allows the velocity to be calculated with high precision.The sequence of internal data refreshing and data transmission is shown in Fig. 3. Transmission is synchronous to the request of the controller, and one bit of the position value to be output is transferred with each clock pulse. 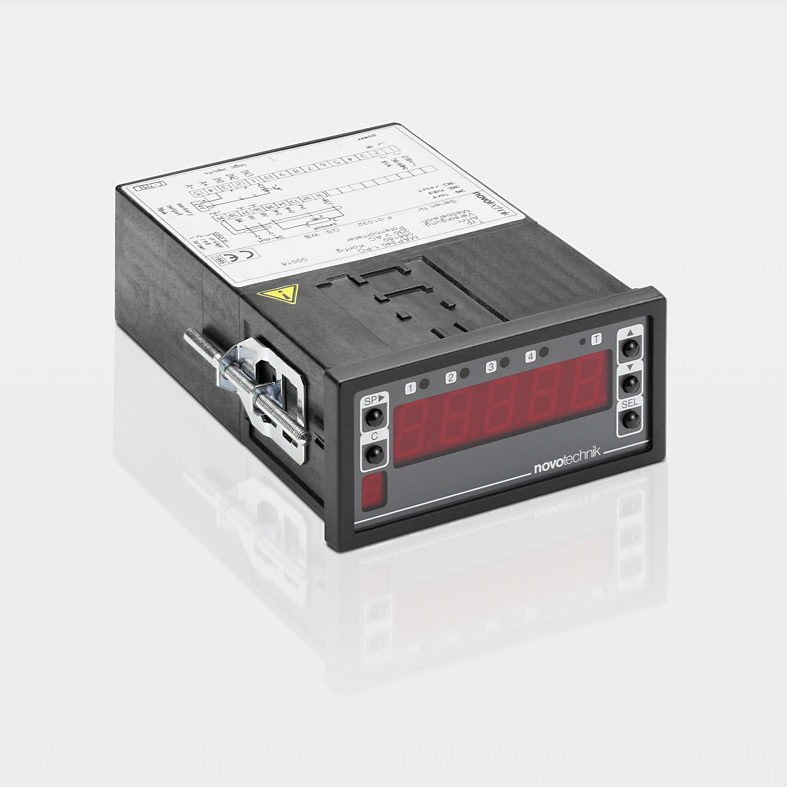 The clock/data signals are transferred differentially via an RS 422 interface. Data formats are binary or Gray-encoded with a 24 or 25-bit position resolution. can also be attached to the data format ("SSI26"). 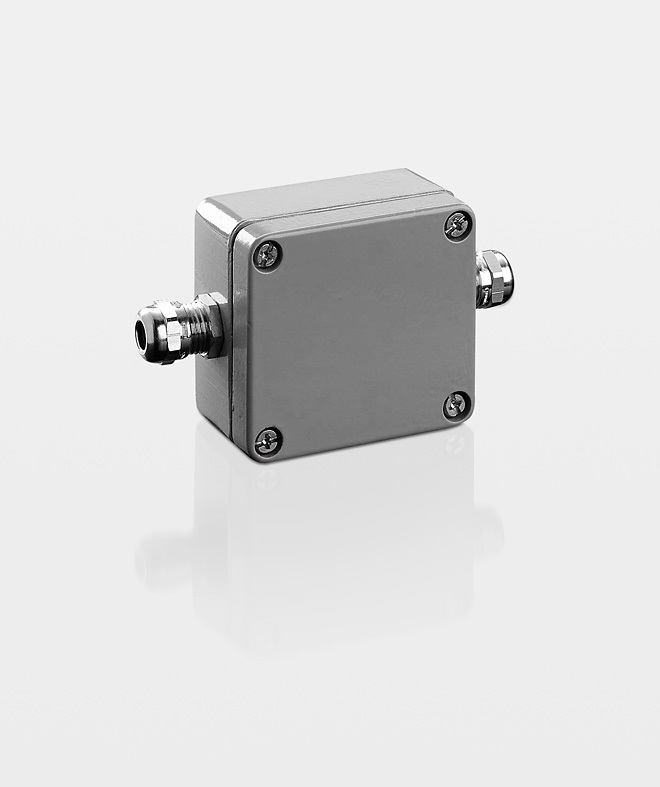 Possible clocking frequencies are in the range from 60 kHz to 2 MHz, and update rates of up to 16 kHz can be achieved. 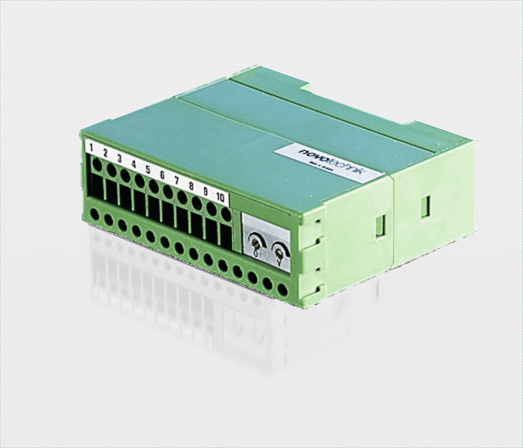 The maximum achievable clocking frequency is dependent on the cable length and the driver blocks used. This makes the SSI interface reliable, dynamic and inexpensive. was developed by the CIA (CAN-in-Automation user and manufacturer association) and has been standardized as the European standard EN 50325-4 since the end of 2002. 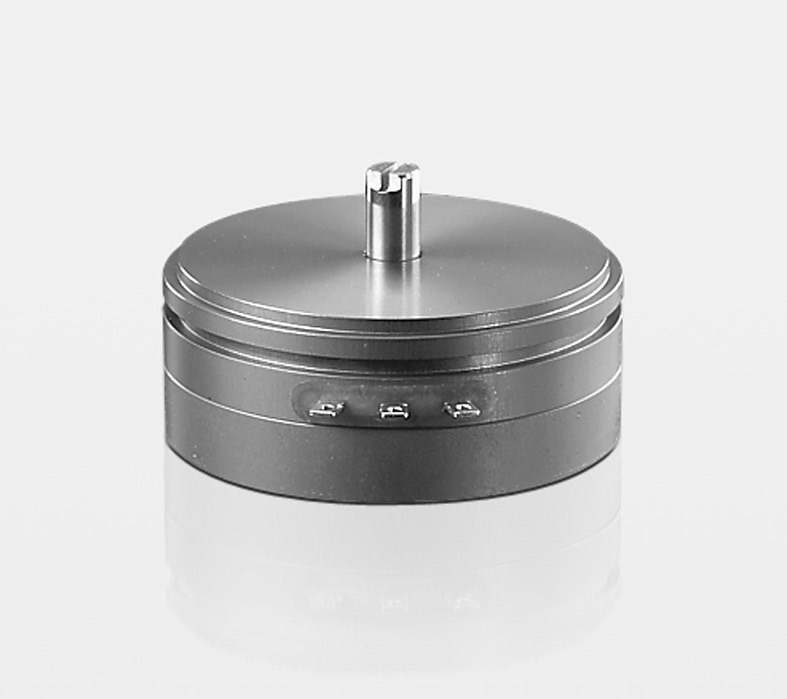 CANopen uses layer 1 and 2 of the CAN standard originally developed for use in cars (ISO 11898-2) as a transmission technology. send messages (multimaster capability). Messages on the bus are received by each bus device (broadcast communication). Each bus device then decides whether or not these messages are processed based on its local intelligence. 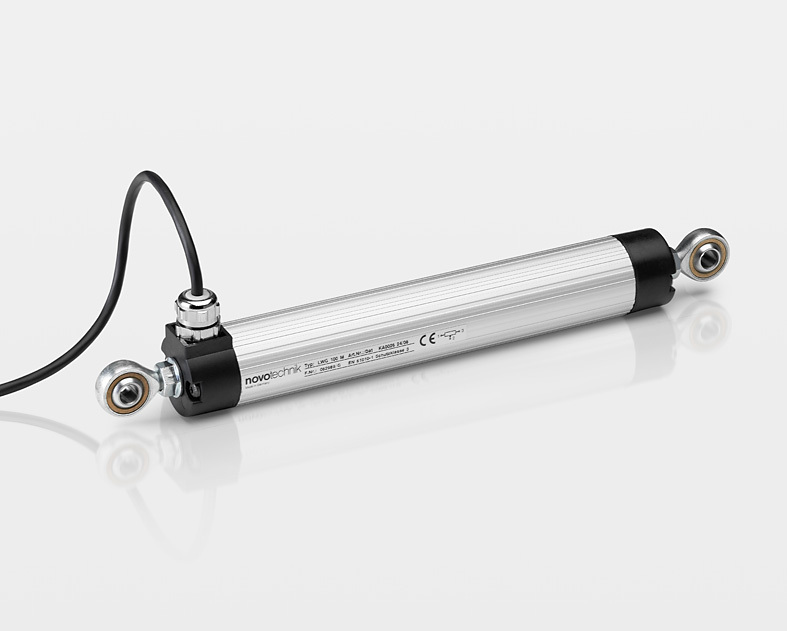 and treatment equip the CANopen protocol with out-standing properties. With reference to positions sensors, all relevant device data of the higher-level controller can easily be imported via electronic data sheets (eds files). 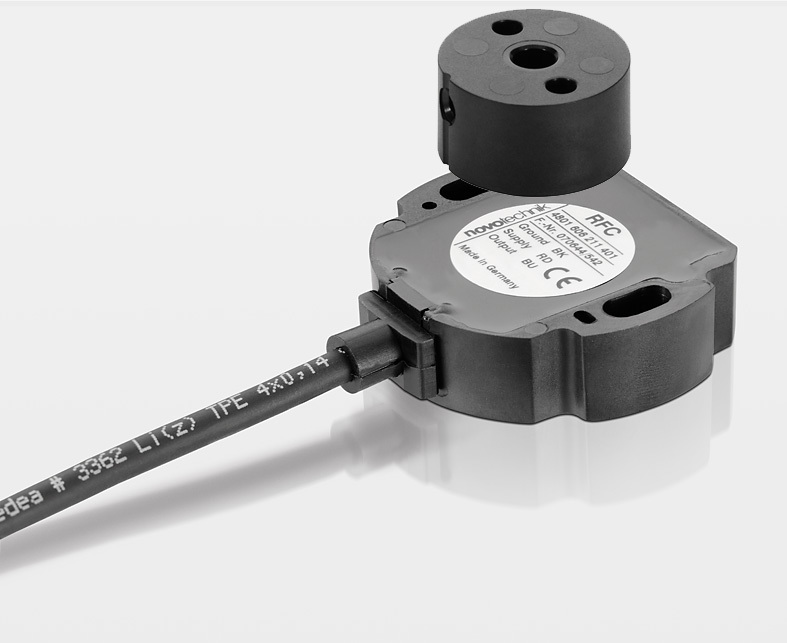 Thanks to the availability of features like cam switches, limit value switches, speed data etc., a true measured value for connected components is provided here. 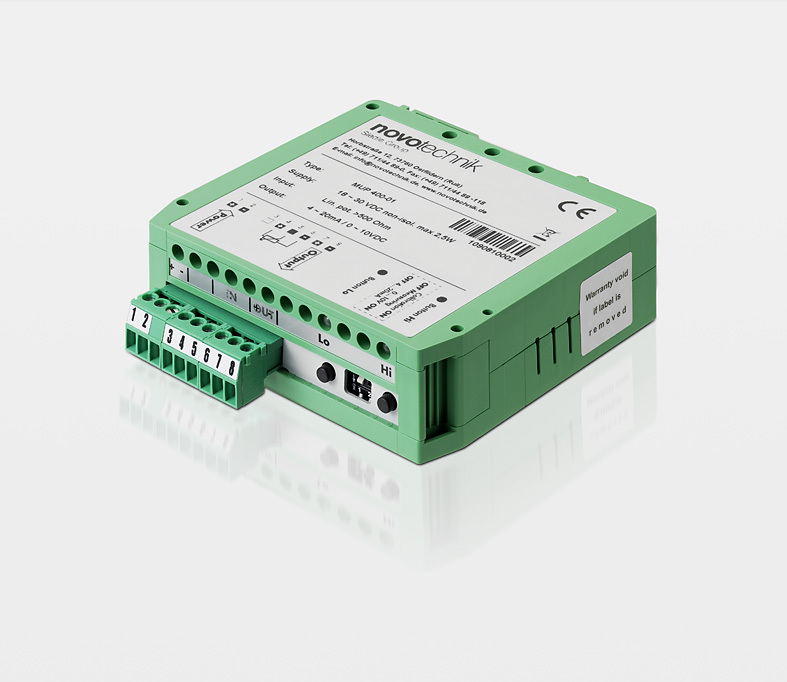 CANopen is suitable for use as an interface in both dynamic applications and in complex control networks. distance covered, and the pulse width of the A/B pulses is therefore dependent on the speed of movement. to the position data, information on the sensor (model and serial number) is output via the DyMoS interface following "Power On" so that the measuring sensor can be clearly assigned in the application.As with the SSI interface, the maximum transfer rate is 16 kHz. © Copyright 2011 ANS Vietnam, All right reserved.